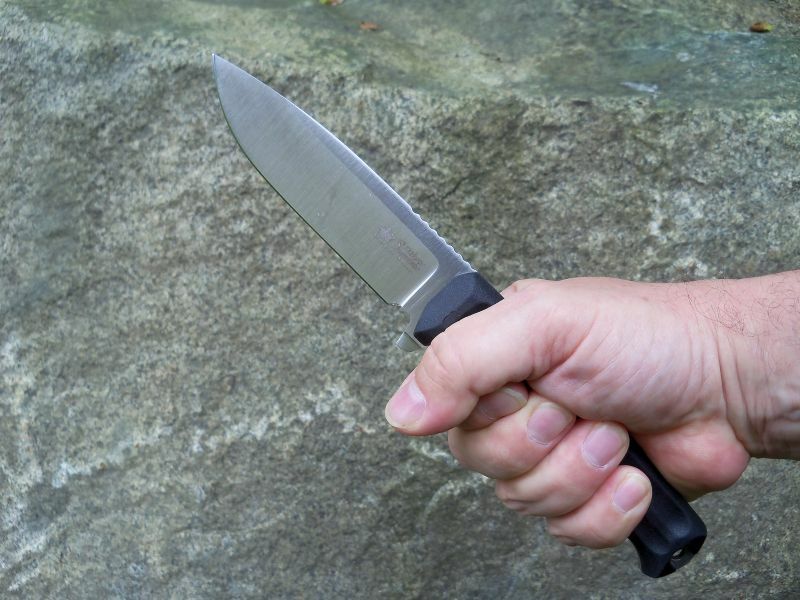 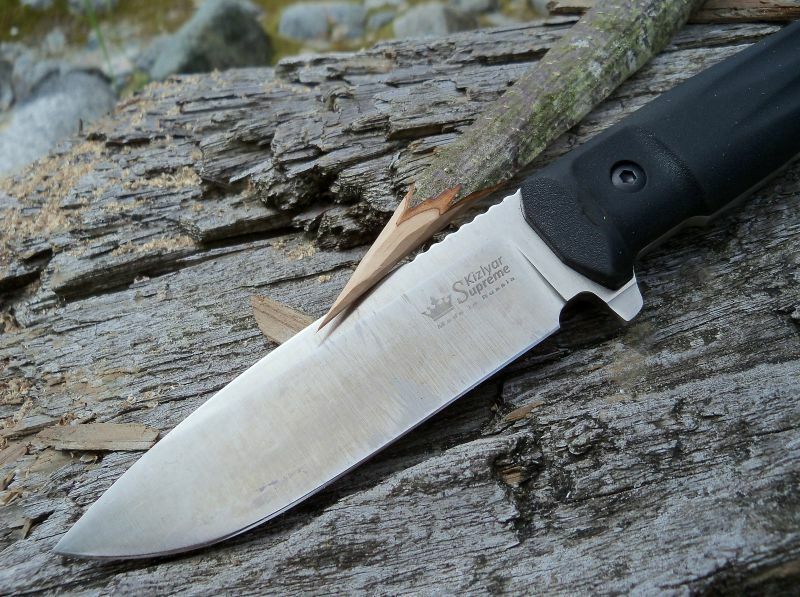 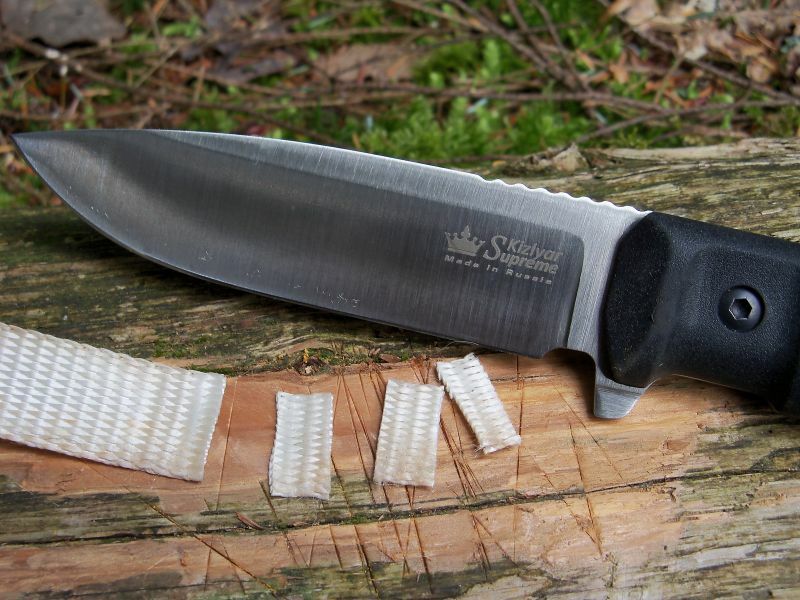 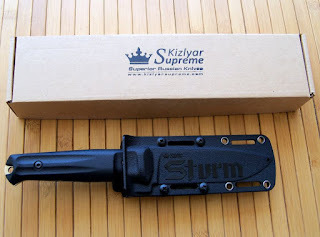 REVIEWING THE KIZLYAR SUPREME FIXED BLADE STURM! An EXCELLENT Review! 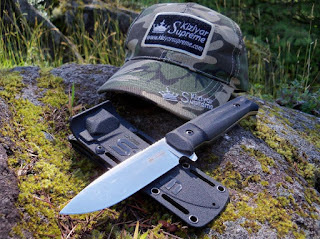 Kizlyar Supreme is a relatively new Russian knife manufacturing company, based in Saint Petersburg, Russia. 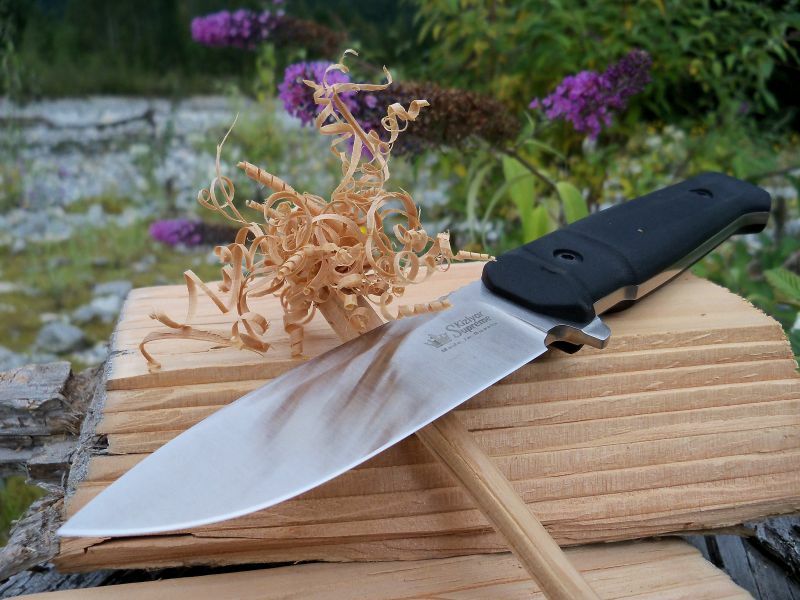 Their international team have started to work and design their lines in 2009 and finally entered the knife market in December 2011 simultaneously in Australia, Germany and Russia. Today they have a wide variety of knives on their palette and the offerings are growing and improving every year in leaps and bounds. 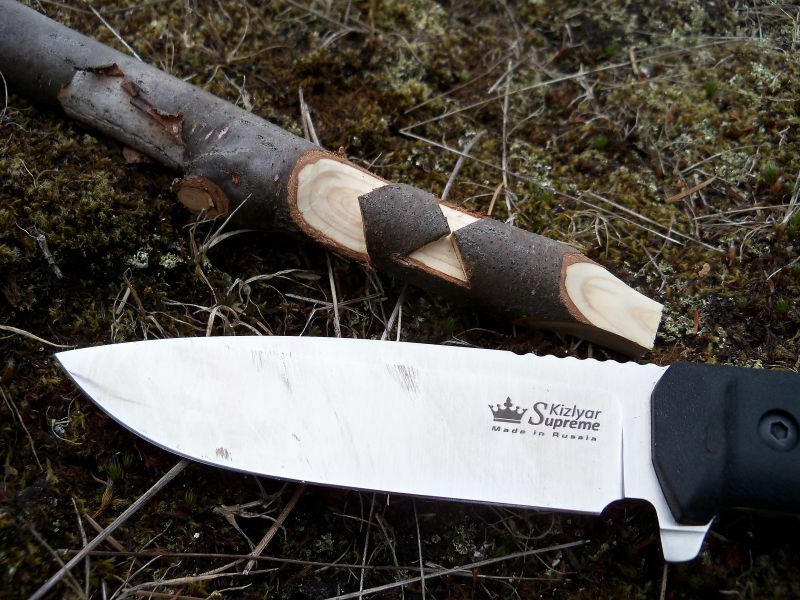 They offer a lifetime manufacturer's warranty on all of their models. 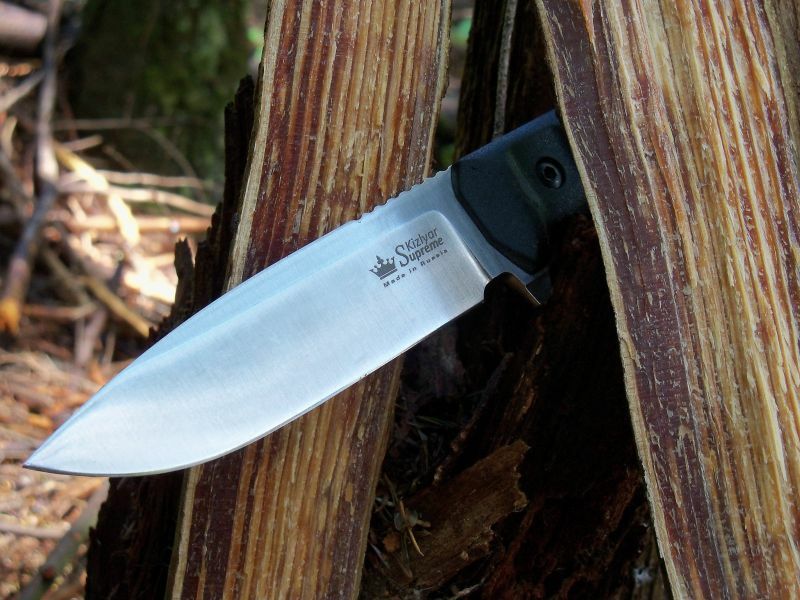 This warranty covers any and all defects in workmanship, build quality and materials used. 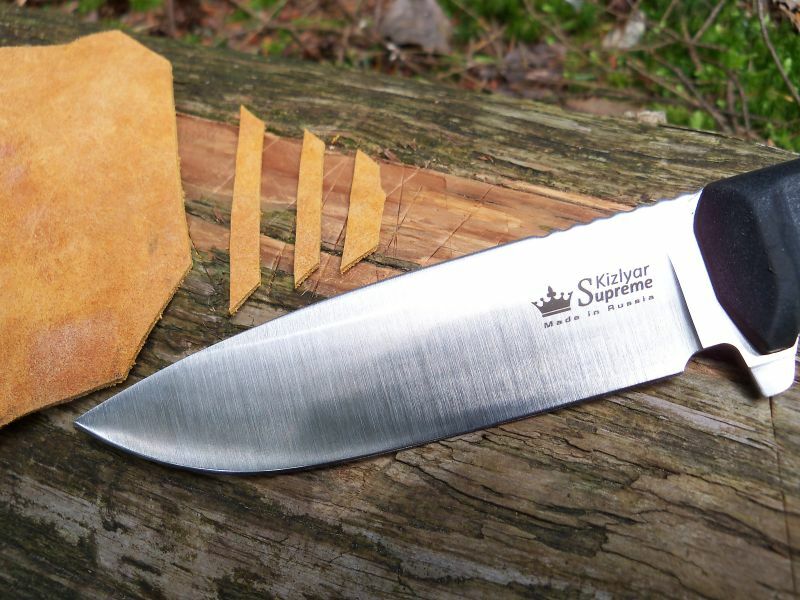 The name Kizlyar comes from a town of the same name in the Dagestan region of Russia, which is famed for its knives and knife-making traditions. 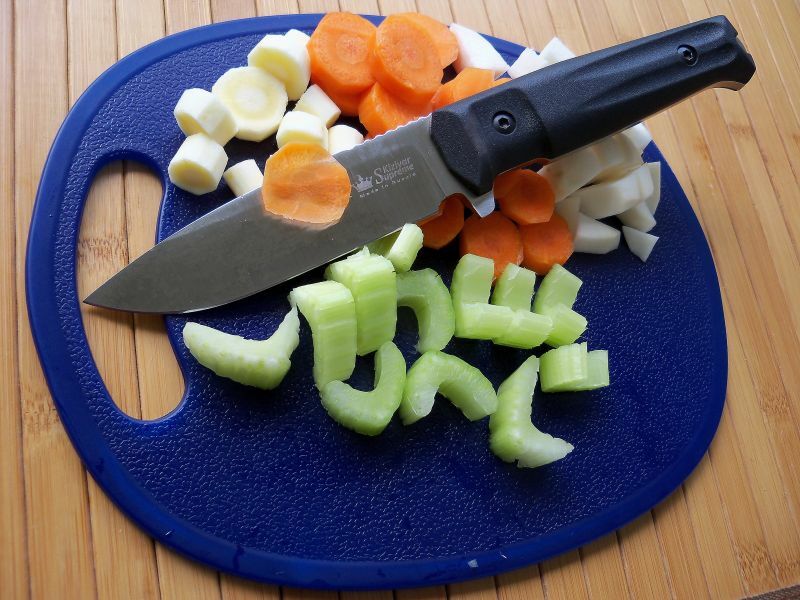 It is manufactured by Aichi Foundry in Japan. 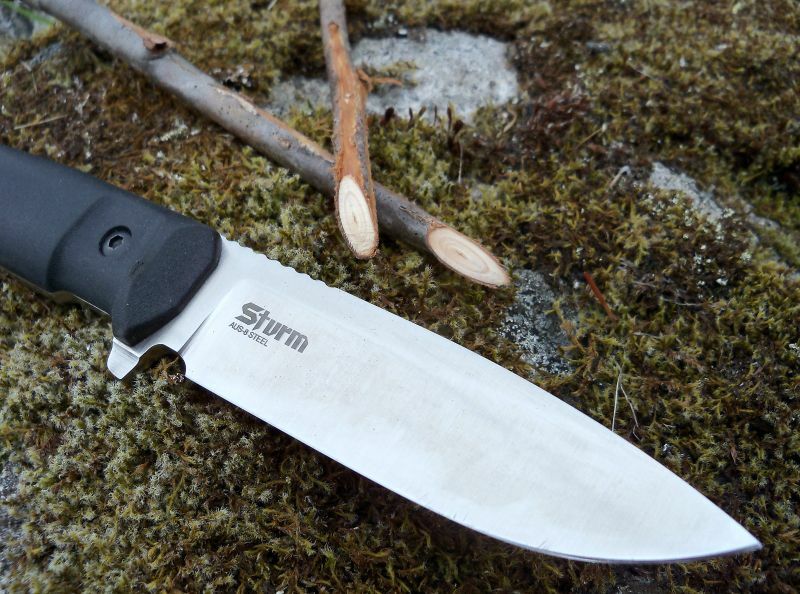 This tried and true steel is fairly easy to sharpen, takes a keen edge and generally low cost with great corrosion resistance. 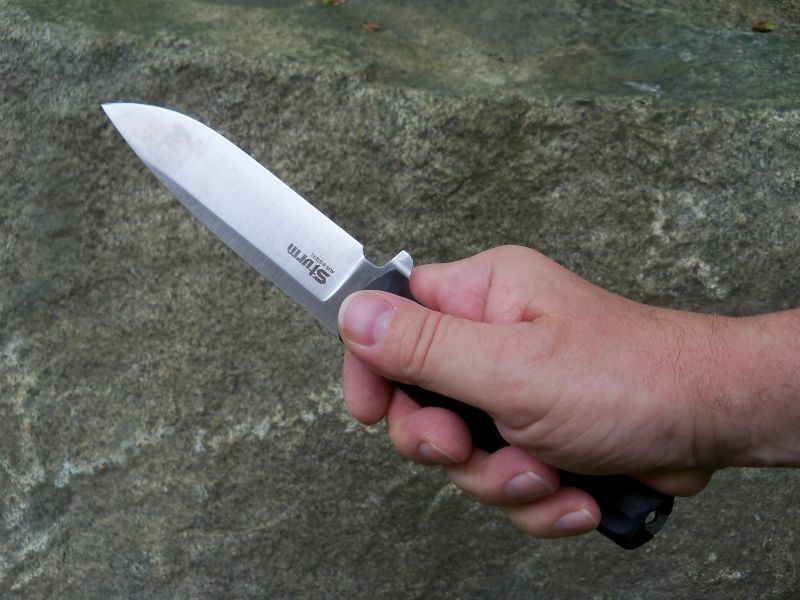 It has excellent toughness and good edge holding capabilities and it is a good compromise for a knife-blade material. 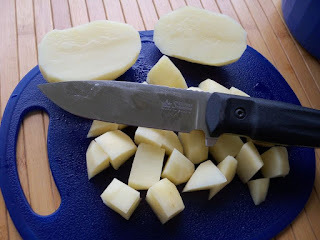 And because of that, it is being used by a good number of companies for their mid-range line of knives. The knife feels good in the hand and has a nice heft to it, although a bit handle heavy. 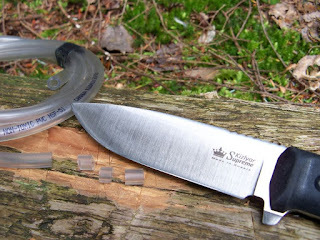 It was sharp and able to shave arm hair right out of the box. The fit and finish was very nice all around. No grind marks, gaps, imperfections or anything like that. 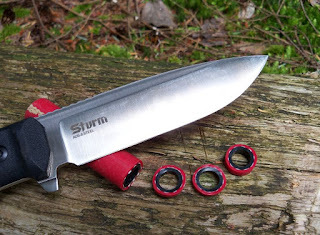 The medium sized Sturm model is a full, broad tang construction and has a drop point, saber grind blade with a secondary bevel, a little ricasso and some jimping on the spine. This spine is not really square and sharp enough to be used for scraping or with a ferrocerium rod, except a short (about an inch/2.5cm) section around the tip. 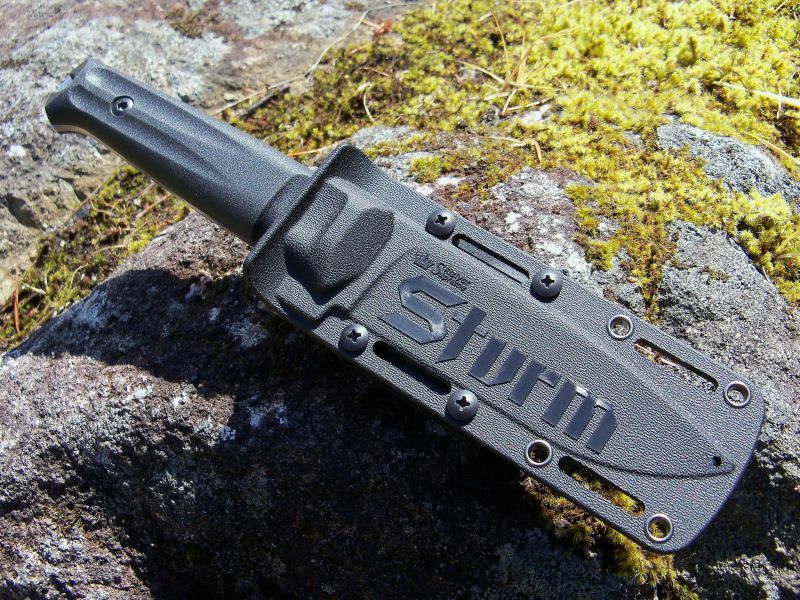 The Sturm shares its handle design and material with Kizlyar Supreme's “Tactical Echelon” series knives. … and with gloves, as well. 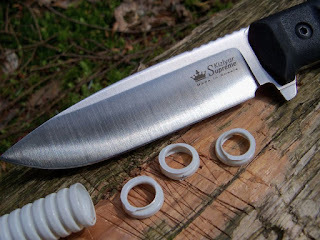 I have been using this knife extensively for over two and a half months now for all kinds of tasks and tests, out of doors and around the house. I grouped my observations and experiences in categories by field of use, rather than in a chronological order and I would like to share them here with everyone who is interested. 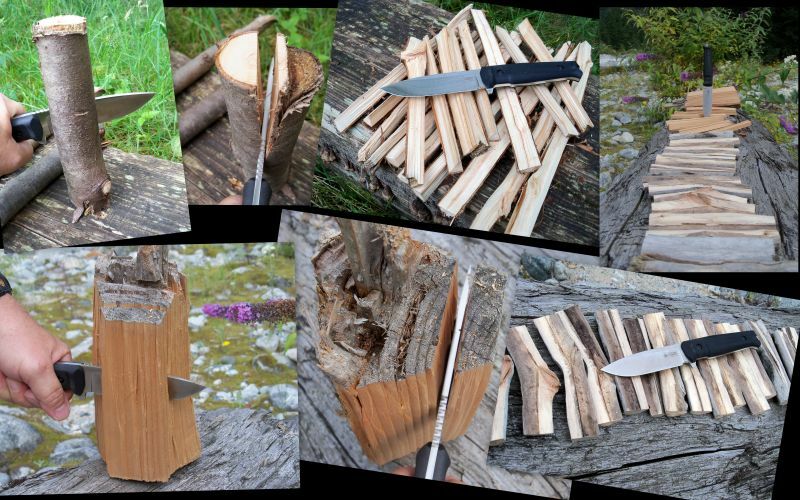 As usual in this part of my test regime, I tried to get and use as many different materials as possible for cutting subjects in order to get a good idea about the potential and capabilities of the given knife. 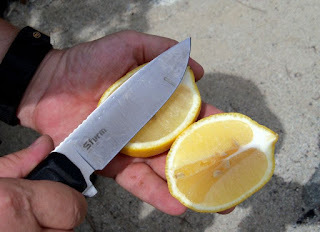 … then one more different kind. 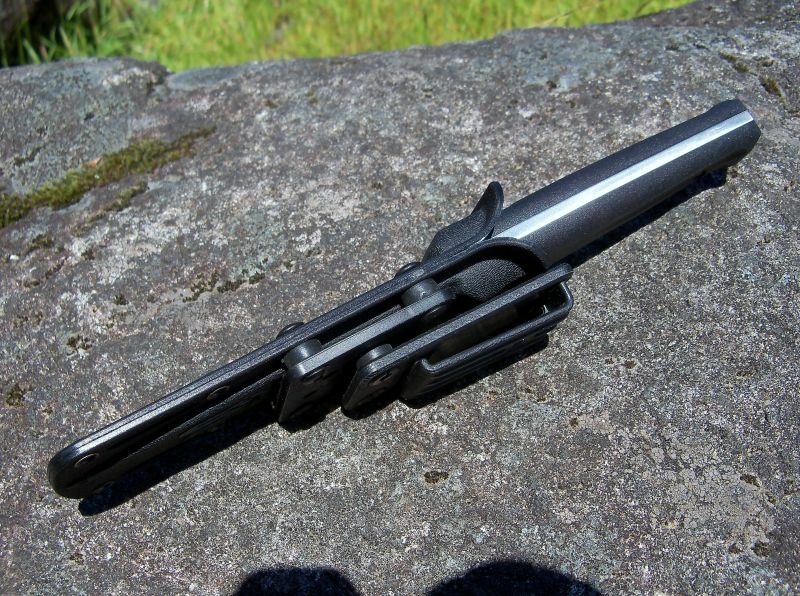 … and a 6mm nylon version. 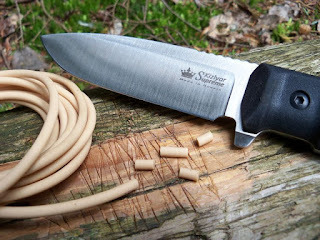 … finally, a piece of somewhat flexible, but still hard electrical core-line. For rubbery materials I have used fiber reinforced and double walled pneumatic hoses in two different diameters. Sliced up some thin scrap leather, as well. The Sturm performed well in all of these tests, without difficulties. 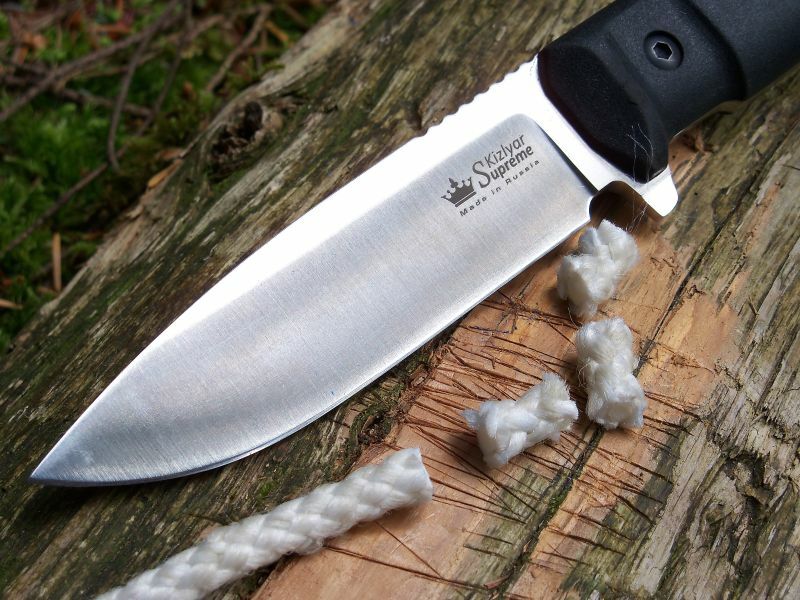 I think, perhaps this is the most important domain for an outdoor/survival knife, such as this blade. 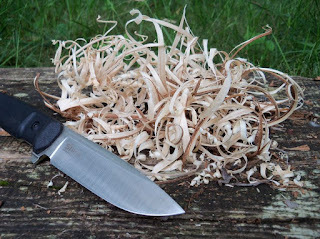 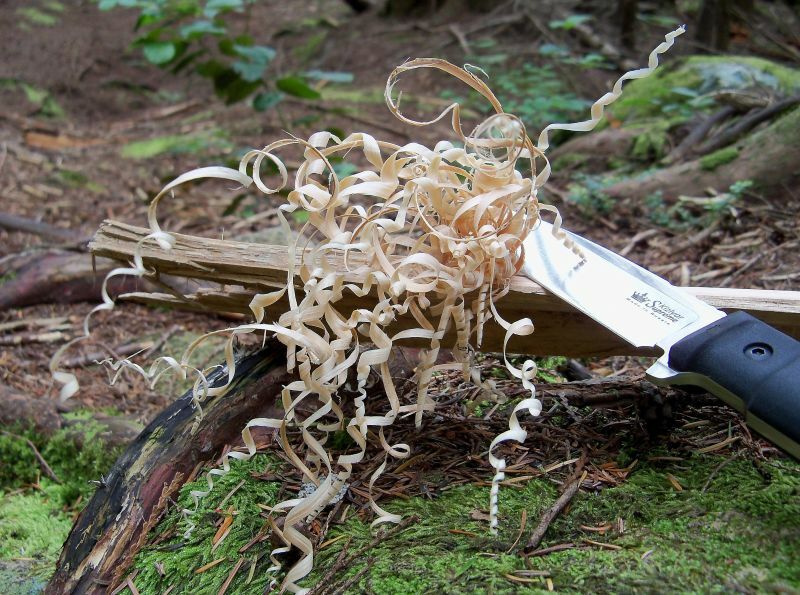 It is a useful skill for fire-making to be able to produce nice, good feather-sticks and shavings and this is also a good practice to get a feel of the given blade. I for one, like to do it just for the fun of it, too. … and here is a sizable pile of shavings. 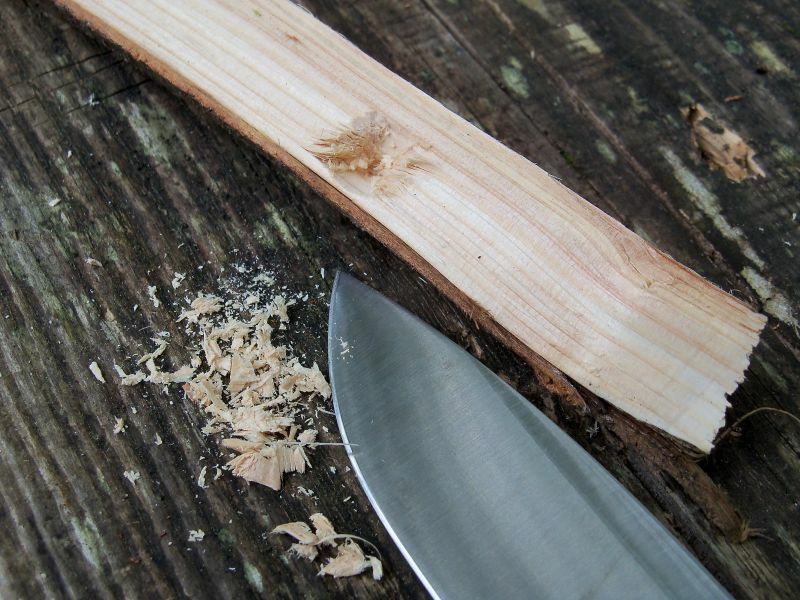 In my opinion, another important part of fire-making is wood splitting or batoning. 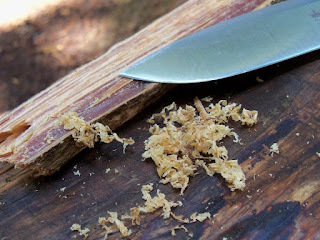 This comes handy for example to get the dry inside of otherwise wet or moist wood for fire making. 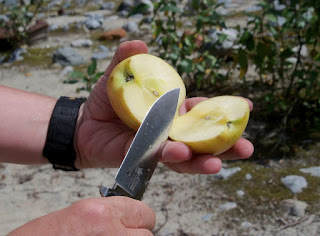 But it is useful for a number of other purposes, as well. Here is a photo collage of this chore performed by the Sturm model. Still on the fire-preparation subject, next is a shot of my Firebox, all prepared and ready to go, courtesy of the Sturm and a folding saw. 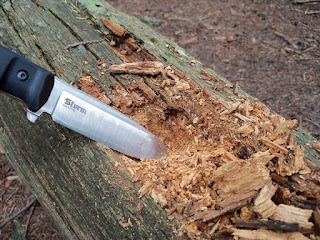 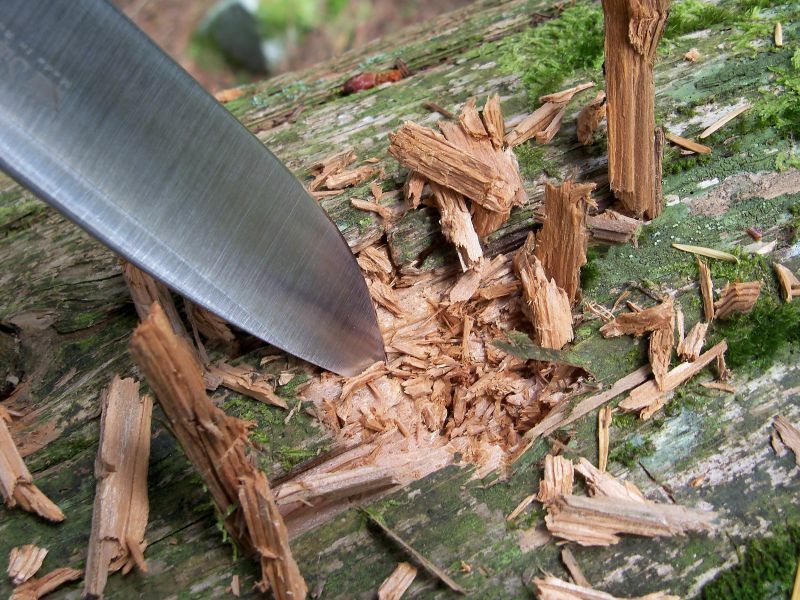 To test the strength of the blade tip I did some stabbing, digging and prying in some big, dead logs with no ill effects to the blade. 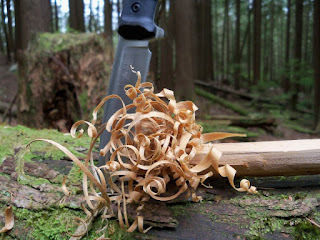 Also, tried a little drilling with the tip of the blade. I can report, that this model has a strong and robust tip. 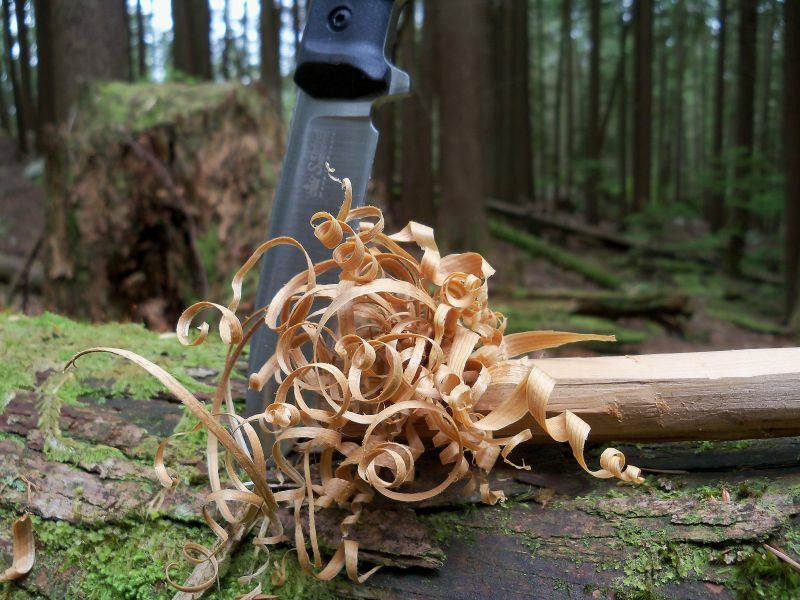 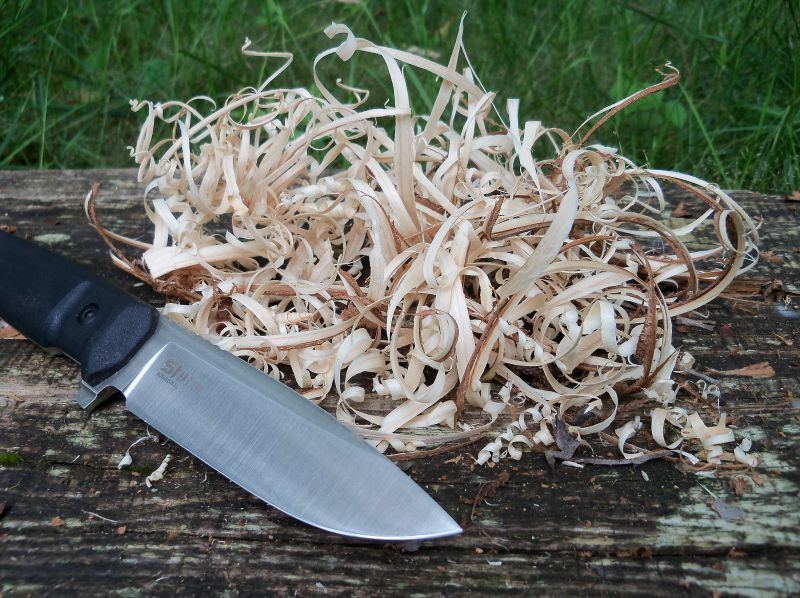 Then I have tried this knife at some whittling, too. 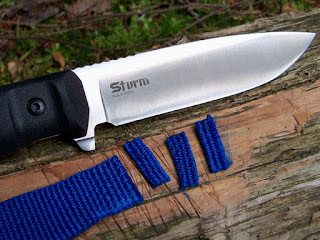 … and carve a tent/tarp peg. … and used the spine near the tip of the blade (where it is sharp and square enough) to create some very fine scrapings. 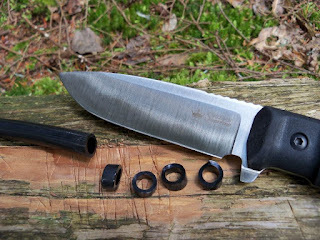 This part of the blade works fairly well with a ferrocerium rod, as well. 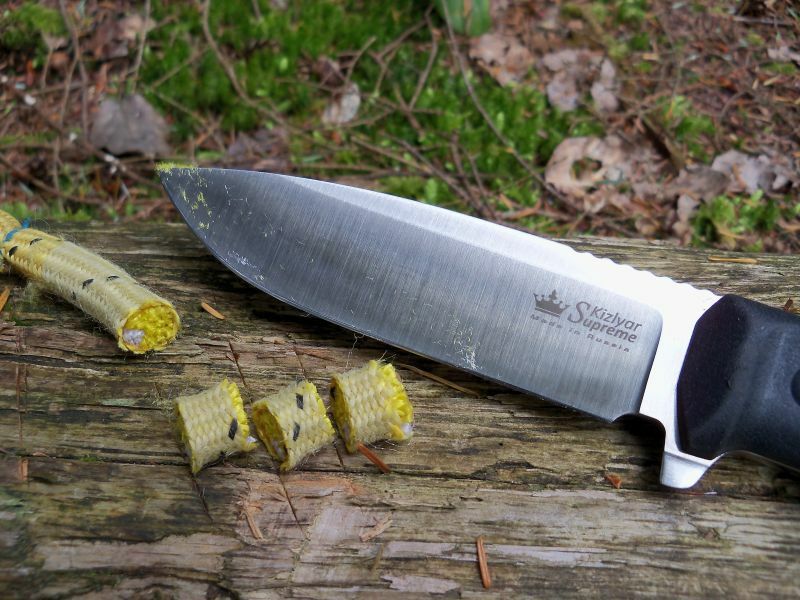 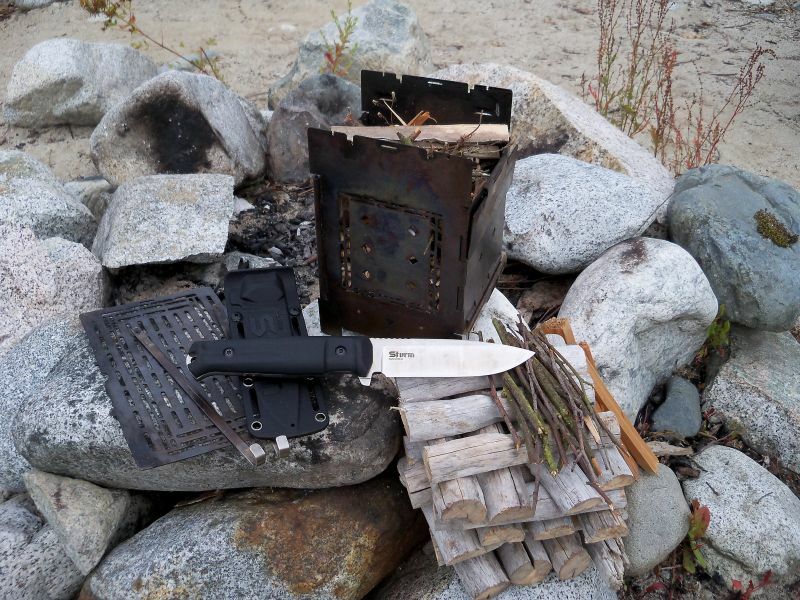 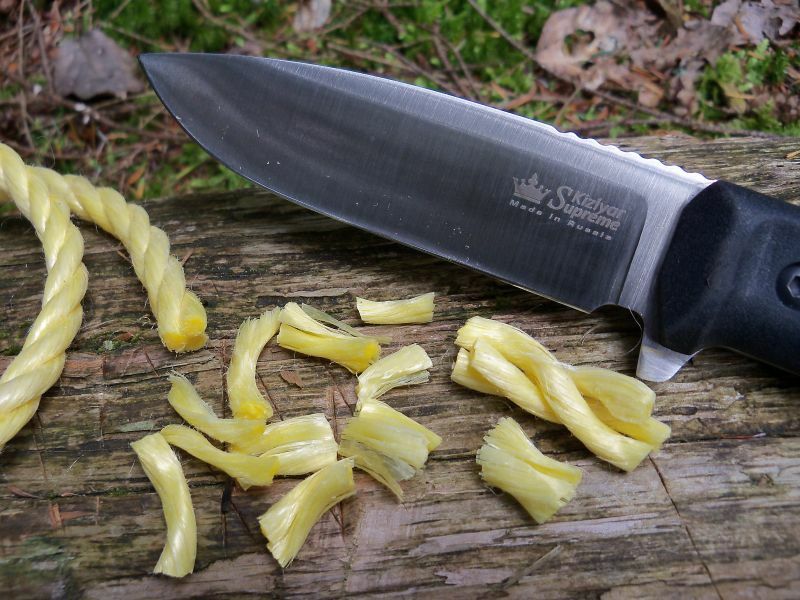 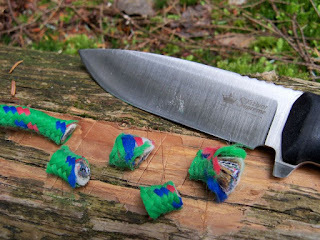 The knife did an admirable job in the woods and had no problems with any of these tasks. 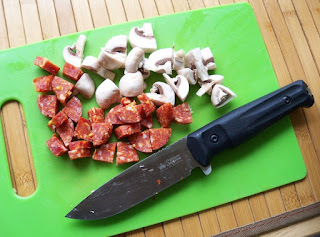 I left this important field for last, but not least. 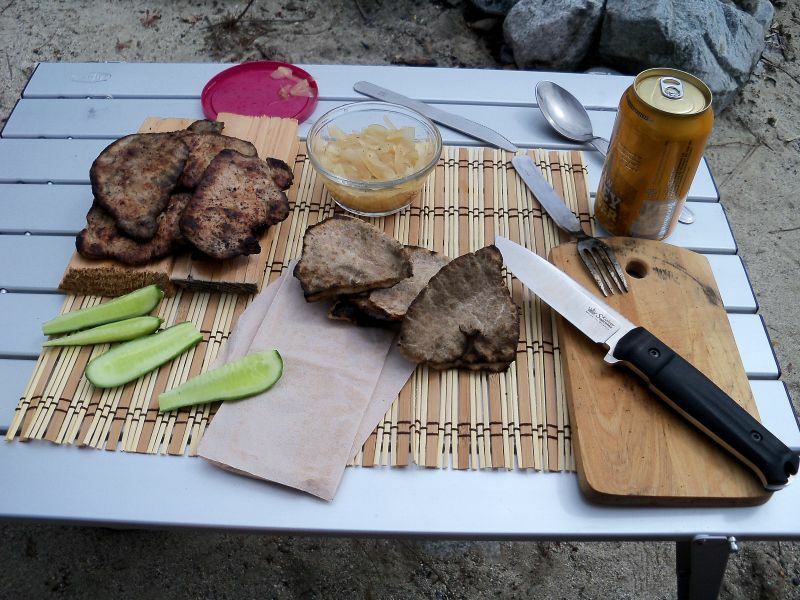 And a shot of an outdoor “cookery” and picnic. 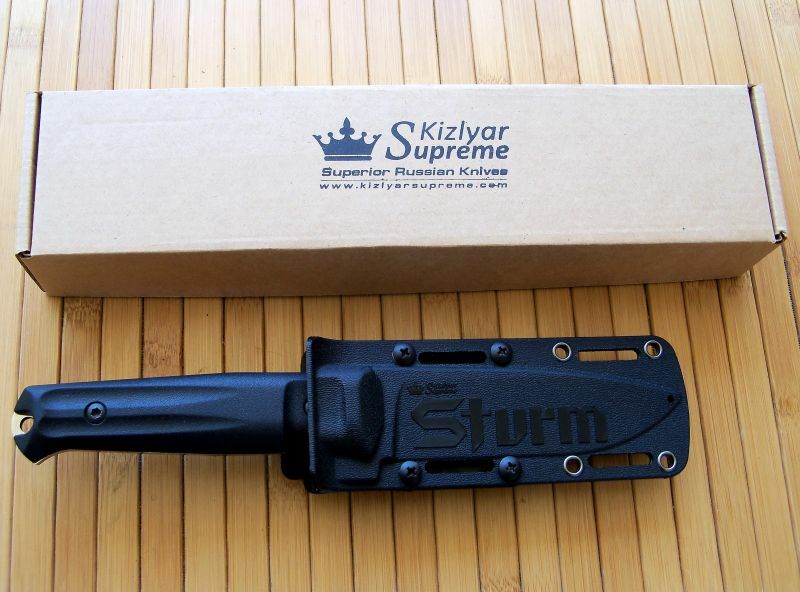 Kizlyar Supreme's Sturm model performed well in each field. This is a solid, well built and beefy knife in a useful medium size. 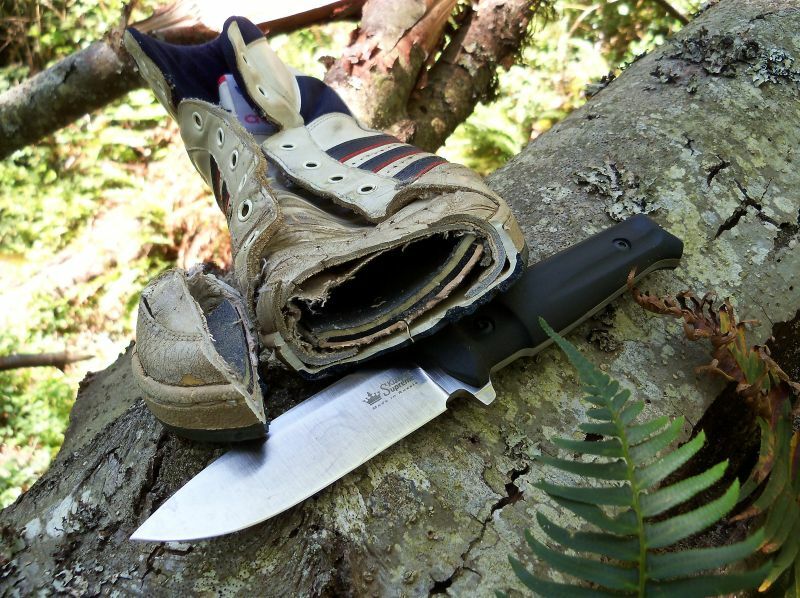 It can take some abuse, no problem. 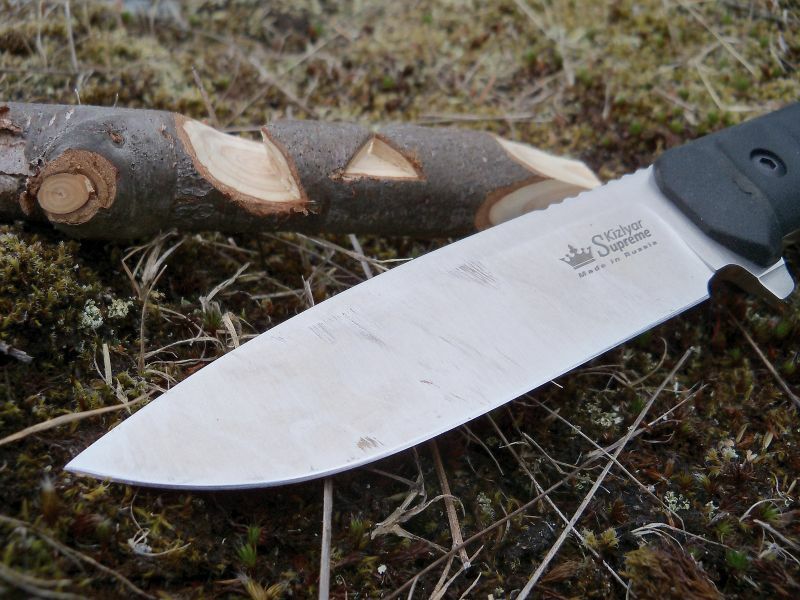 It suffered no damages during my testing procedures and usage, except some minor surface scratches, which is normal wear and tear. I like the well designed sheath, the shape and feel of the handle. 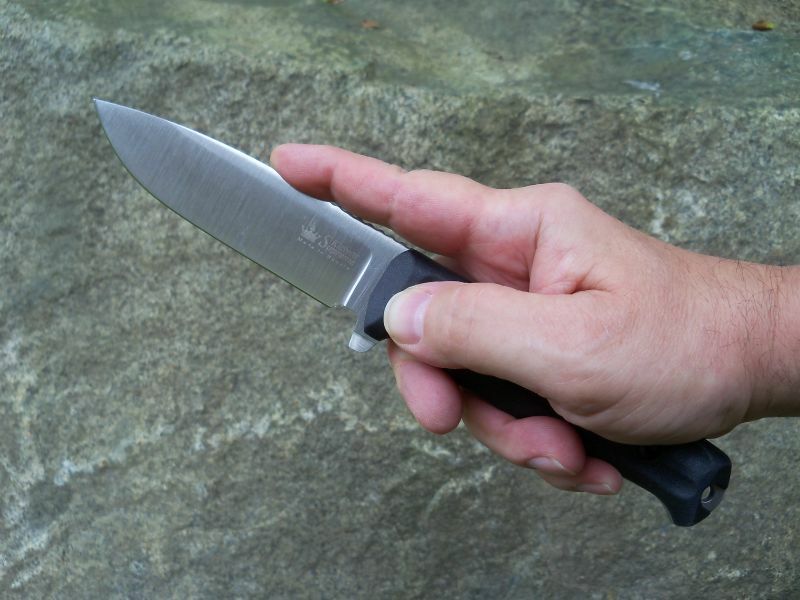 This Kraton handle provides a secure grip wet or dry and minimizes felt vibration while batoning or light chopping. 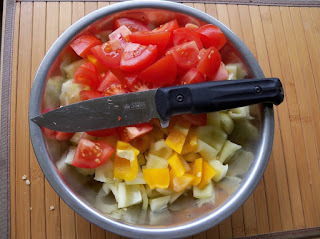 By the way, I would not bother chopping too much with this blade. 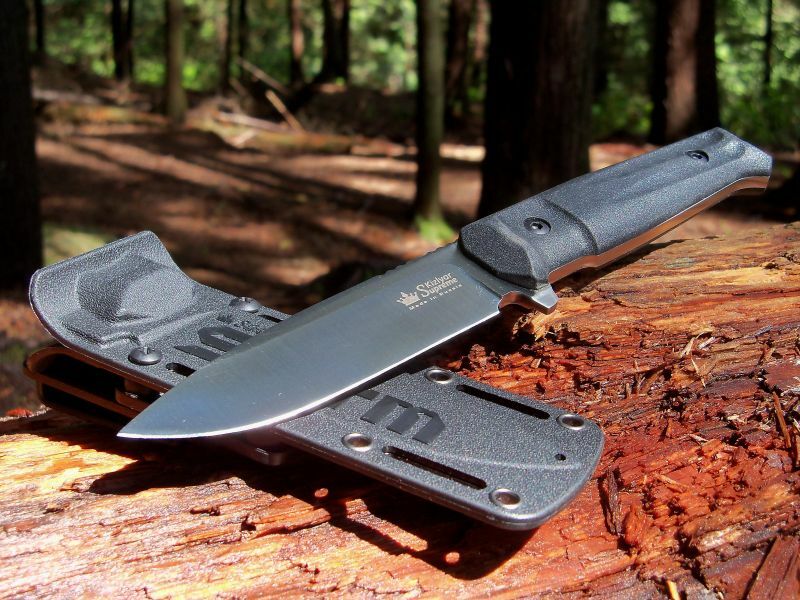 It lacks the necessary length and weight to be efficiently utilized for that. 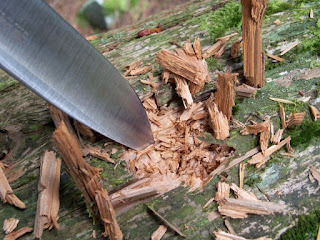 Of course it can do light chopping, like delimbing or cutting a sapling, etc... 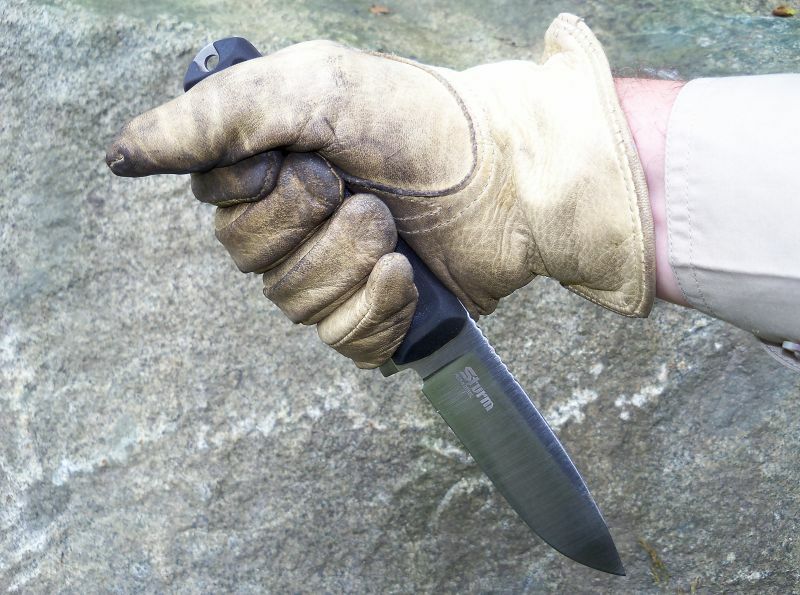 Edge retention lives up to the Japanese AUS-8 steel. 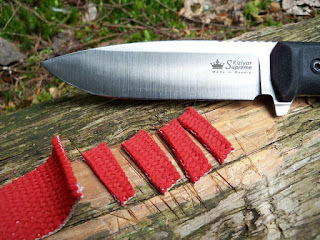 I have used my Spyderco Sharpmaker and a charged leather strop a few times in order to maintain the original sharpness. Since the blade is stainless steel, the handle and the sheath is synthetic, the general maintenance of the knife is a breeze. 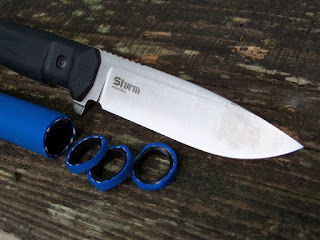 This AUS-8 steel is adequate for the intended purpose of the knife and to keep costs down, but it would be nice to see an upgraded option of this model as well. 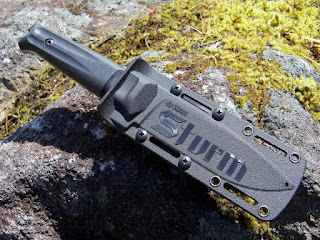 I believe the company is in the testing process of some high end powder metallurgy steel version at the time of this writing... Let me mention here, that the company offers a green coloured version (handle and sheath) of this Sturm model, as well. Another thing I have noticed is some visible “wear and tear” on both sides of the Kraton handle, right in front of the finger grooves. 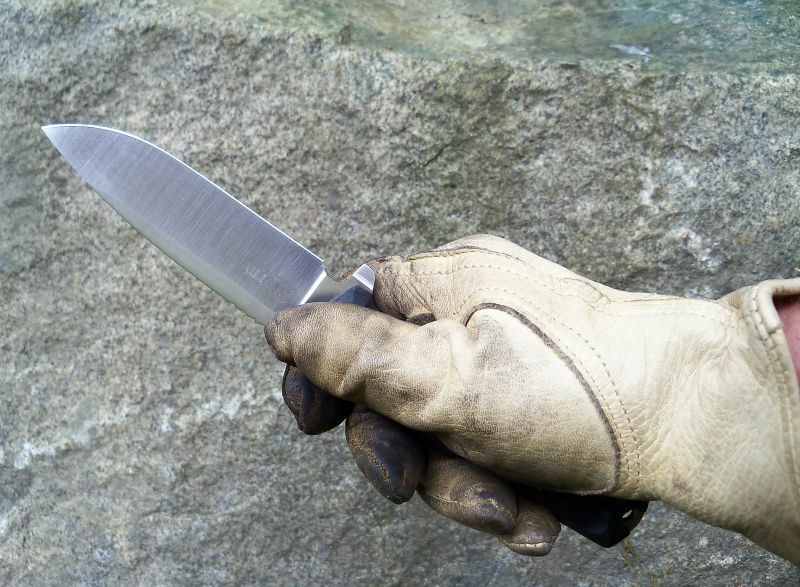 Most likely it is from the friction of repeated sheathing and unsheathing of the knife. 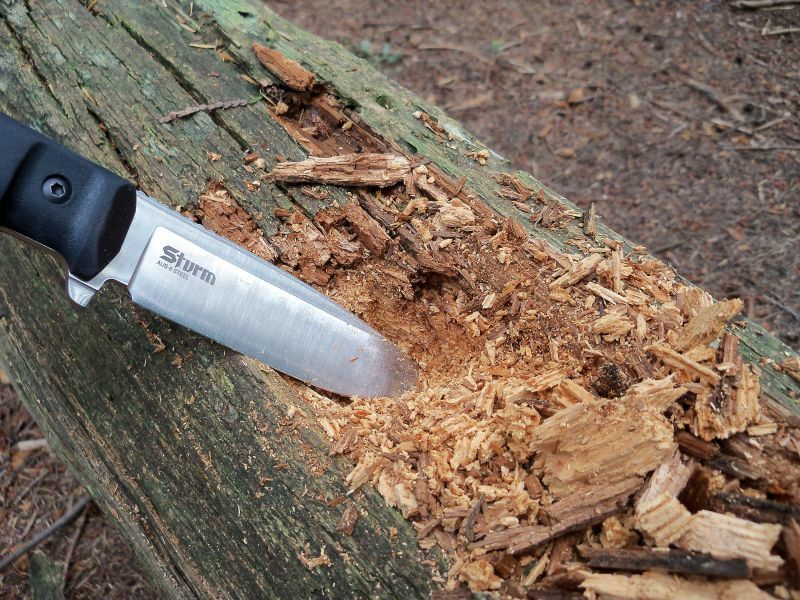 It looks to be just a cosmetic “damage” and of course it is not going to wreck or alter the handle slabs, but it is definitely something worth to keep an eye on. Is there anything to improve upon this knife? Other than the aforementioned steel upgrade, in my opinion the balance point of the knife could be made even better by using a tapered tang in the handle portion of the knife, which would not affect the integrity of the full broad tang construction (like some cut-outs could...) and this would shave off some weight as well. 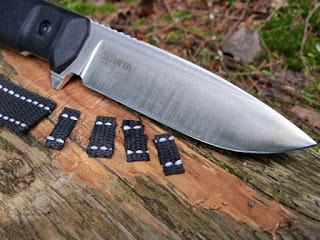 and as such, it would serve well as a general hiking/hunting/outdoor belt knife and it will make a good survival/tactical blade (including military/law enforcement/SAR use) as well. 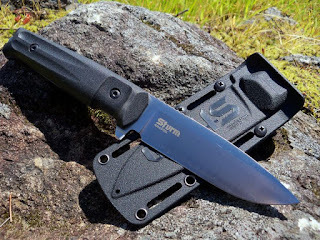 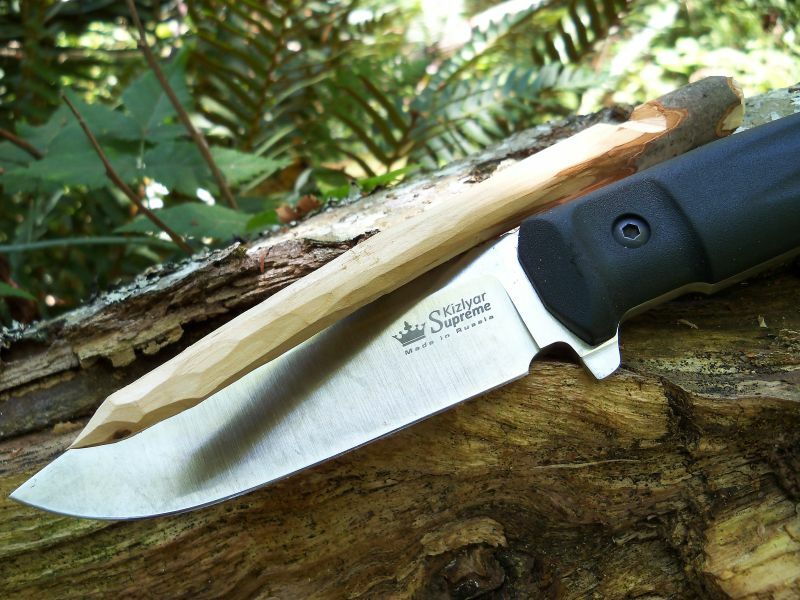 Excellent review mate and yes after I'd bashed my STURM about in the Australian bush I can definitely say that the STURM is indeed a Jack of all trades and very very useful knife to carry.